HulaKai Hotel offers boutique experience with down to earth style, host to a collection of soulful people united by place and time; here we truly care about your well being, we’ve created spaces and a feel that reflect and cultivate a style of living. There are a wide range of ways to get involved with the Hulakai community during your stay. Please contact us for more information about planning an event at HulaKai Hotel. Spend your days surfing, hiking, practicing yoga or just relaxing by the pool and in the evening join us at our long table for a family style dinner. 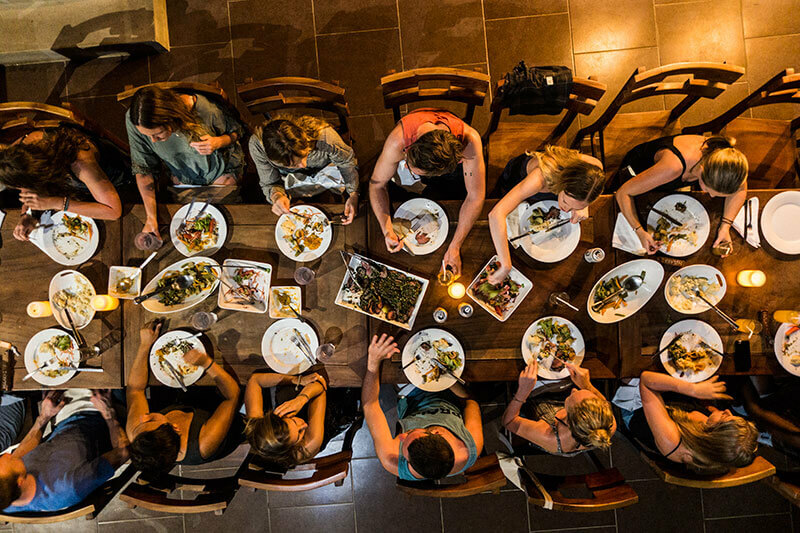 Hotel guests and neighbors from near and far gather together at one table to enjoy a freshly prepared all you can eat meal. The menu is decided day since we source all of our ingredients locally. Enjoy a Beetroot and Coconut Marlin Steak, Red Chicken Curry and Lentils or whatever surprise the chef has for us in the kitchen that day. We can ensure you that you will leave with new friends and a full belly. Family dinners are served 3 to 5 evenings a week at 7:30pm. Please reserve by 3:00pm day-of. Price $15. Join us once a week at Hulakai Hotel for Taco Tuesday. Yes, it is a Tuesday. With a $10 entry (for outside guests) you can enjoy $1 tacos, $2 rums and live music by our pool. The party starts at 3:00pm and goes till 11:00pm in the evening. It is a great way to meet other hotel guests, locals in the area and to become a part of the Playa Maderas community. We look forward to having you join us for a taco…or 5. Are you a traveling musician? Are you interested in performing at Taco Tuesday? We love to showcase new talent whether you are a blues musician or a DJ. Shoot us an email or stop by the hotel. 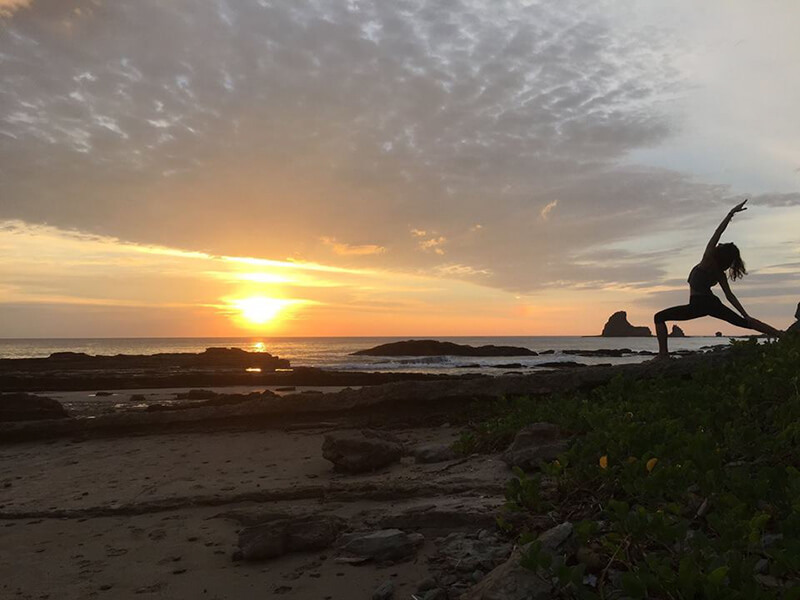 Whether you are a yoga retreat, school, business or group travel organization, we would love to have you use Hulakai Hotel for your next trip. Our goal is to relieve the pressure and headache of organizing a trip, meals, and transport, allowing you to put all your energy into having a good time. 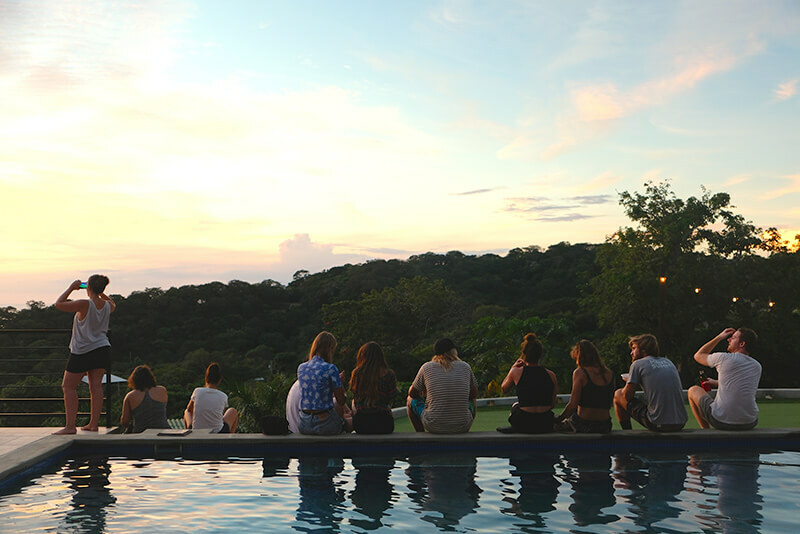 We offer basic retreat support which includes airport transport, accommodation, and breakfast and dinner or if you would prefer a more hands on experience and wish impart the love of Nicaragua. We can organize day trips to see local surroundings, from fishing and sailing trips to explore private beaches, to seeing the busy markets of colonial Granada. We aim to give you the most ideal experience, so talk to us about what type of group experience is best for you. 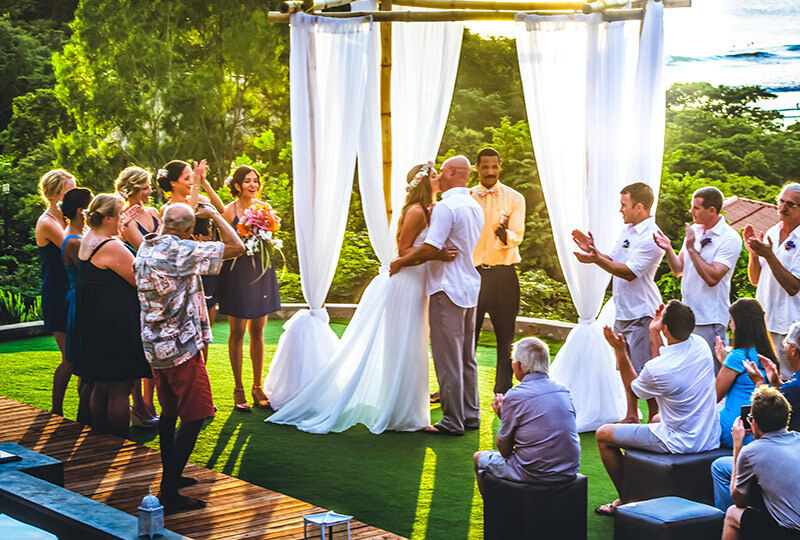 As one of the top surf destinations and home to stunning beaches, Nicaragua is also a popular for destination weddings. For those of you wishing to find the ambiance and elegance of a regal location in the relaxed, casual environment of Nicaragua, we offer the perfect spot for rehearsal dinners and receptions. From our grotto pool, to ocean view bar, we have a very versatile, elegant yet comfortable location. We offer gourmet catering and special cocktails, everything you need to immortalize those precious life memories. Contact us for more details about how we can make your event one to remember.